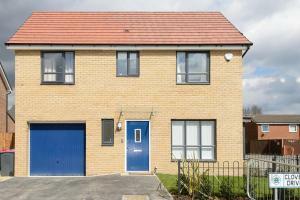 Good sized town house, clean and in a good location. Key pad entry, so no keys to collect, very convenient. We needed to iron some clothes, there was no ironing board, we phoned the owner, and one was delivered to the house within an hour. The cleaness of the villa, the location, Quite and comfortable, safe and pleasant. Very convenient check in thanks to key code. No hassle with keys etc. Location good, taxi cheap into Manchester city. There are local shops but one didn't serve alcohol although was really friendly and directed us to another close by (1/ 2 minute drive). The local shops are only small, basic stock, not supermarkets. Beautiful property and a great place to stay. My children didn't want to go home. Easy access bathrooms in all levels and of a good standard. Bedding way clean and beds comfortable. Good location for city centre. The property was very neat, clean and tidy. It was very near to the city and good place to stay for holidays. Lock in a great price for Riverside Villas - rated 8.7 by recent guests. Situated 0.9 miles from The Opera House, Riverside Villas offers a garden, and accommodation with a patio and free WiFi. 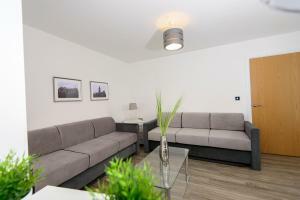 All units are equipped with a flat-screen TV and a fully equipped kitchen with an oven. Some units feature a dining area and/or a terrace. The property is a 10-minute walk from the a sports centre, where guests can use the Olympic swimming pool, sauna, gymnasium and fitness facilities for a surcharge. Deansgate is 1 miles from the holiday home. 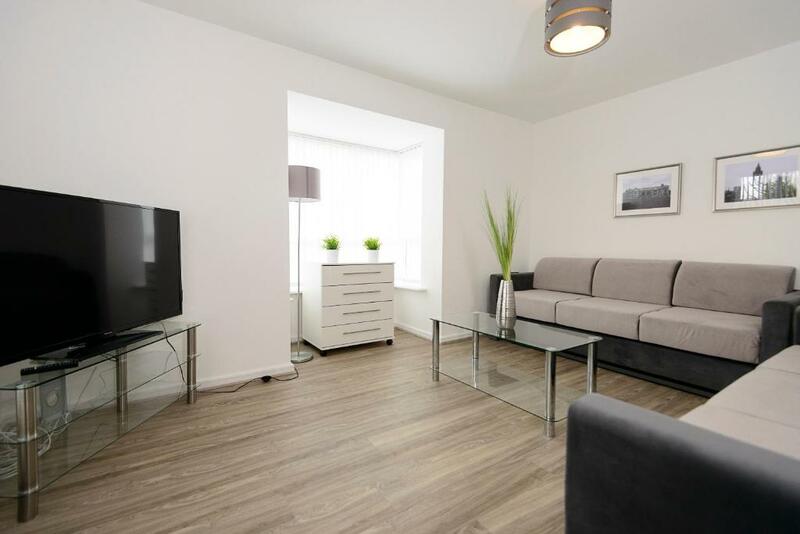 The nearest airport is Manchester Airport, 8.7 miles from the property. Riverside Villas has been welcoming Booking.com guests since 16 Jun 2016. When would you like to stay at Riverside Villas? This villa has a balcony, dining area and washing machine. This villa features a oven, kitchen and patio. This villa features a tile/marble floor, electric kettle and sofa. Stunning Brand New Villas (March 2016) Modern Luxurious Houses with Parking Front and Back Garden- Our Riverside Manor Suites. . It has a Modern Brand New and Fully Equipped Kitchen, Dining Room & Lounge . 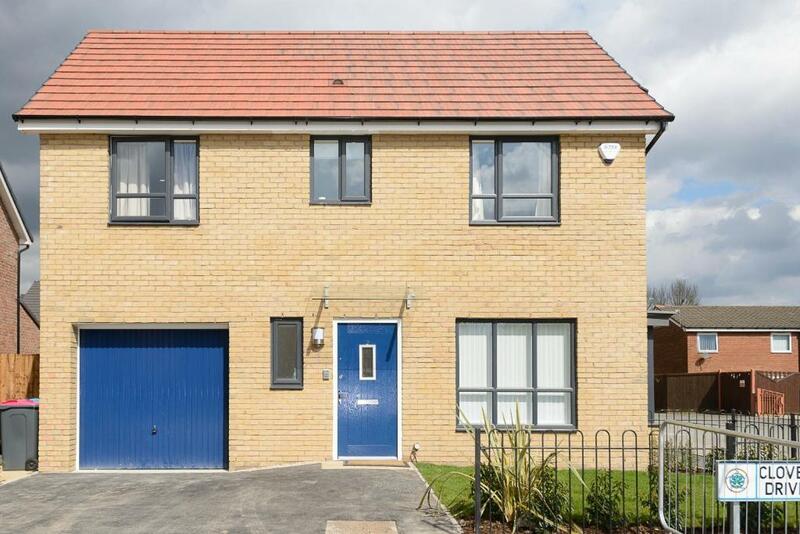 It also has a Garage, Front and Back Garden 3 WC and Bath. Our Deluxe Villa offers a roof terraced balcony with views of the river meadow and City. House rules Riverside Villas takes special requests - add in the next step! All children under 2 years are charged GBP 20 per night for children's cots/cribs. 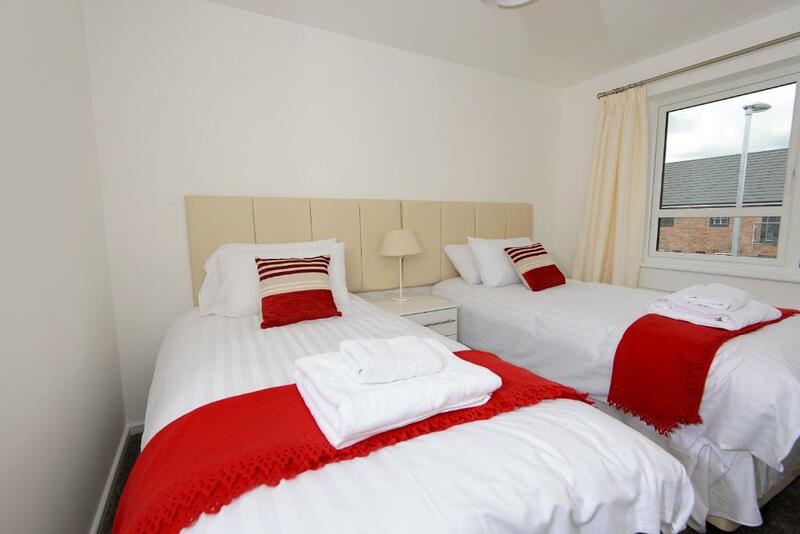 All further older children or adults are charged GBP 29 per night for extra beds. A security deposit of GBP 100 is required after receiving the booking confirmation. This deposit is fully refundable upon check-out and subject to a damage inspection of the accommodation. Smoking inside the property is prohibited and the apartment must be used by paying guests only. Early check-in or late check-out is possible (for an additional fee), subject to availability and by prior arrangement. Please note, this property does not have a front desk. 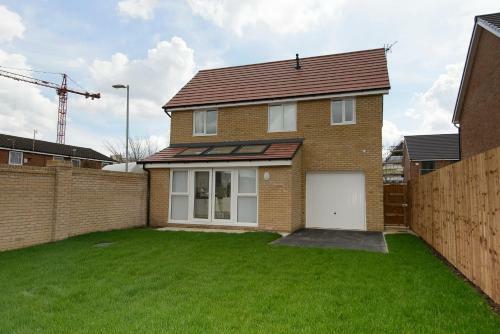 This property requires a minimum of 24 hours' advance notice of guests' arrival times. Please inform Riverside Villas in advance of your expected arrival time. You can use the Special Requests box when booking, or contact the property directly with the contact details provided in your confirmation. Please note that the check-in and key-collection take place at: This Property has a Key Code to Enter you must contact Office on 0161 792 5786 or 07586 512 765, Each Villa has a dif Salford Manchester. Host was inconsiderate and not responsive. Was told we had rented 19 Cowslip Close but when we arrived, nobody there so had to check emails to find we had been rented 1 Clover Drive. Once we had located it, housekeeper was there & let us park & leave our belongings. Not much toilet paper left & evidence of recent alterations etc in drawers & cupboards. There were 6 girls and only mirrors in the two upstairs bathroom which was tricky getting ready to go out. A mirror in the downstairs bedrooms and bathroom would be a great addition. But really nothing actually bad to say, just feedback for possible improvement! We had to pay a £100 deposit to get the access number to the property. On arrival we found fag holes in the carpets, black marks on the walls and a crack in the ceiling. The upstairs toilet only had one light working by the shower so you couldn’t use the mirror at night as the lighting was poor. At the end of the stay I did not receive my deposit back and have tried to communicate twice with the owners and still have had no response. location in the middle of a housing estate. value for money and great accomadation.